Just like the latest movies and televisions, notebooks are evolving from 2D to 3D. 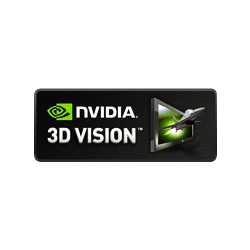 Powered by revolutionary NVIDIA® 3D Vision™ technology, hundreds of games, photos, movies, and websites can now be experienced in 3D today! Both the Clevo W860CU 3D and the ASUS G51JX-3D have all of the components necessary for 3D Vision™ integrated into a sleek, portable form factor. With the included pair of high-tech active shutter glasses, users can now experience crystal-clear 3D wherever and whenever they want.